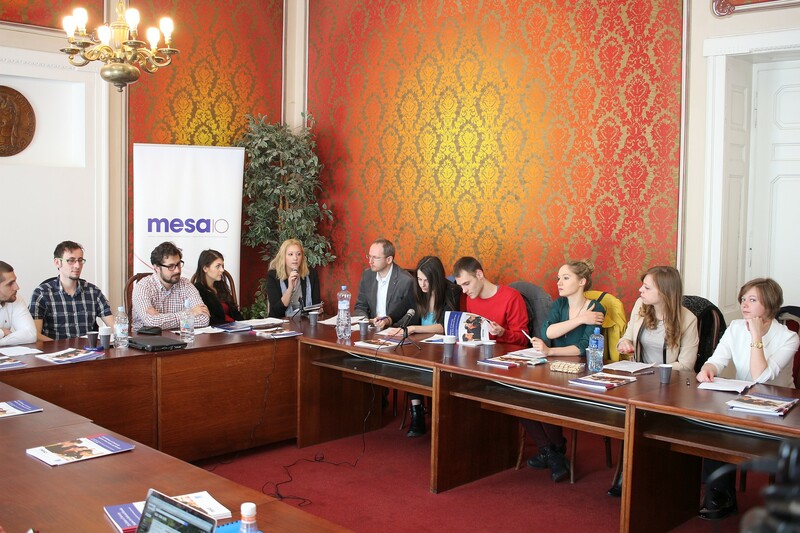 From October 2016, MESA10 and Center for Euro – Atlantic Studies (CEAS) continue to work with two universities from Serbia (the University of Belgrade and University of Novi Sad) and two from Slovakia (Comenius University of Bratislava and Matej Bel University of Banska Bystrica) as partners for the project. The project expanded to include a university from: Bosnia and Herzegovina (International University of Sarajevo), from Montenegro (University of Montenegro) and from Moldova (Academy of Economic Studies of Chisinau). Lectures and workshops will precede two rounds of debates. All participating Student Debate Teams will have the opportunity to travel and debate each other in person during the fall semester in Slovakia, and during the spring semester in Serbia. Workshops and debates will be broadcast online onto all the participating universities and students in the audiences will be able to ask questions. Debates will be accompanied by opinion polls among the students from the universities. Results of the polls will be published in June 2017.